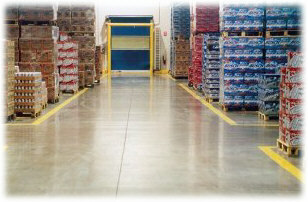 FGS/Permashine is not simply a method of protecting a concrete floor; it is a process for making any concrete incredibly dense, smooth, and visually appealing. FGS/Permashine process consists of a series of abrasive smoothing steps and the application of compatible liquid chemical densifier; the result is a smooth, glossy, durable, and attractive concrete floor. This system is exceptionally resistant to abrasion, wear, dusting and tire marking. FGS/Permashine is installed only by factory trained, certified contractors with the proper equipment to get the job done right. FGS/Permashine process can be used on old as well as new concrete surfaces. 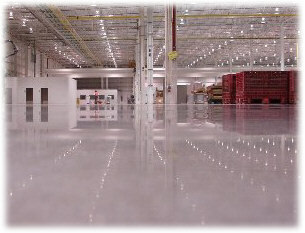 Level #1 - For most industrial applications - provided matte or patina shine at an economical price. Level #2 - Higher gloss - more reflective surface with more depth of perception. Level #3 - The highest level of polishing - produces mirror like appearance with ultra high gloss. 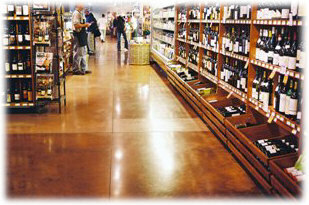 Maintains and improves floor appearance with regular use (the more you use it, the better it looks). Dust-free dry grinding is completed with HEPA dust collection systems, removing 99.9% of air born dust. No VOC and biodegradable (environmentally safe). Water and oil repellent Petrotex treatment can be added to resist staining in dirty environments. Our floor experts will help you address problem joints and cracks in your floor with state of the art repair systems. Joint tite 750 polyurea sealant fills saw cuts and protects vertical edges of concrete from spalling even under extreme loading. One floor - one system - one time (see printable brochure in a PDF format). 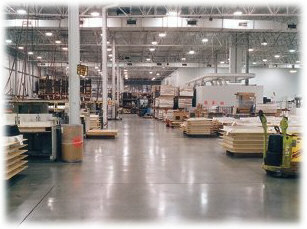 Certified as a high traction floor surface by Nation Floor Safety Institute (see NFSI file in a PDF format).